*Optional* Assorted ribbon pack (will be used for embellishments): Included in image. 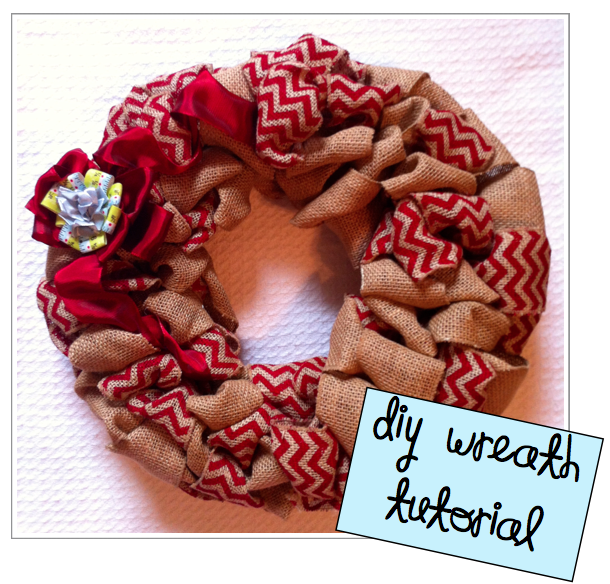 *Optional* Hot glue gun (if you choose to add embellishments): Not included in image. Begin weaving the ribbon in and out of the wire frame. 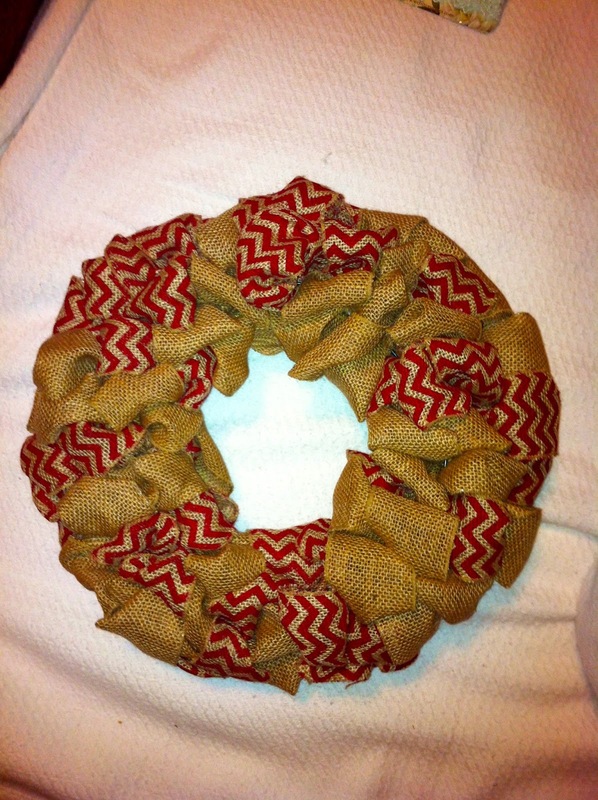 I alternated between the plain burlap ribbon and the chevron-patterned ribbon because I wanted them to be mingled in together. 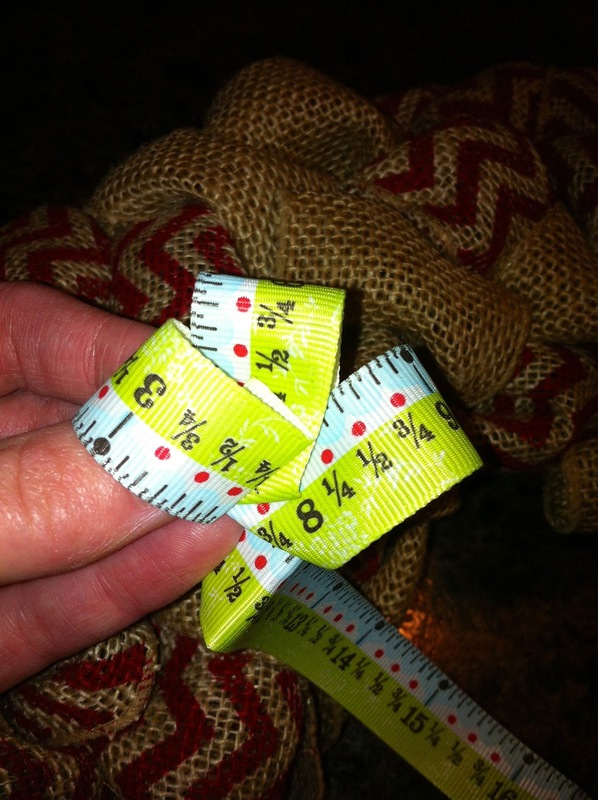 You could work with sections, using one ribbon at a time. It really depends on the type of look you want. 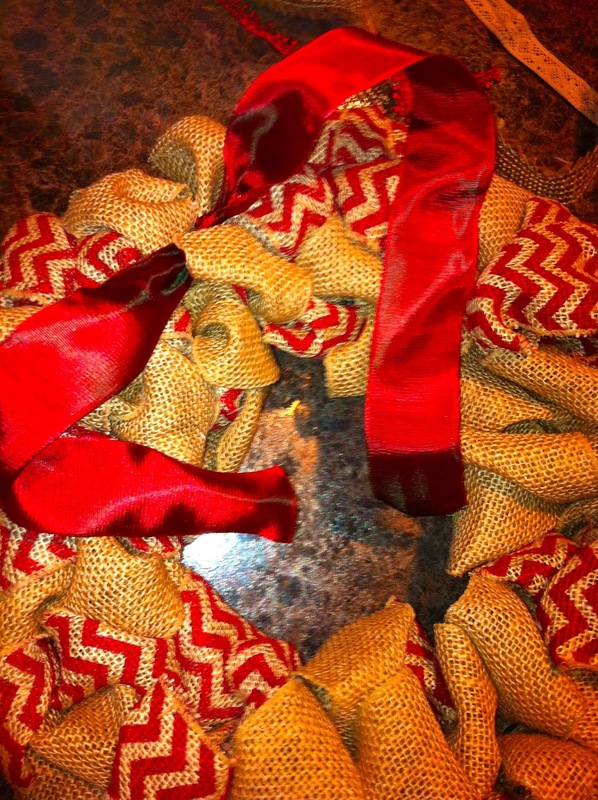 Leave any "tails" of ribbon hanging loosely in the back. You can tuck those in nicely to fill any gaps after you are finished with the full frame. 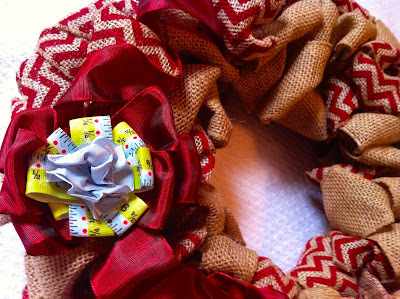 Once you have finished, use those "tails" to tuck into the back of your wreath. You may have some gaps to fill, and those loose ends serve as great fillers as needed. 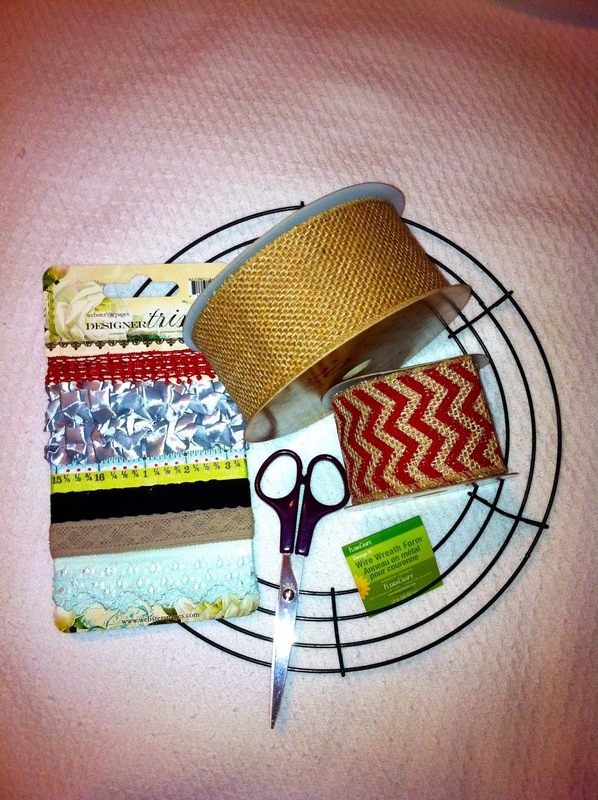 Now you are ready to create a few embellishments! 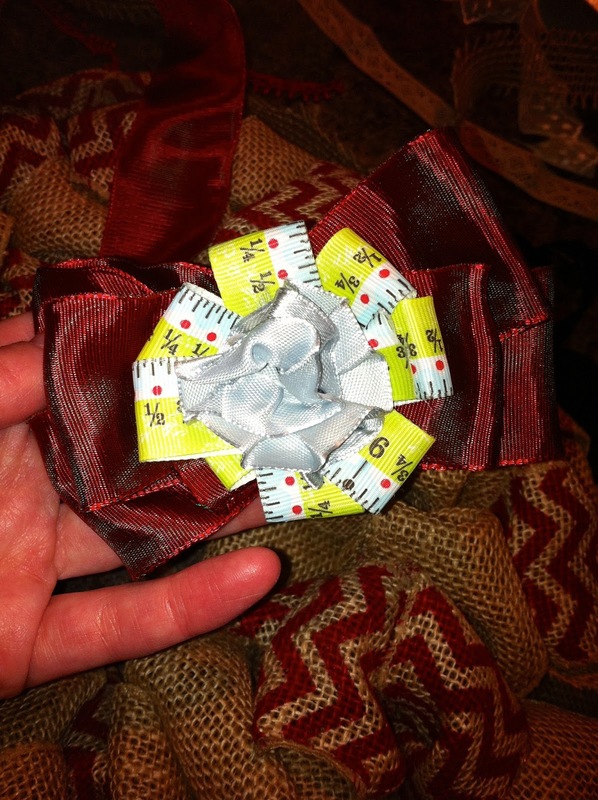 I chose this measuring-tape ribbon. Simply fold the ribbon over into loops and hot-glue in the center to hold the loops. This creates a flower-like pattern. I added a baby-blue ruffle twist in the center (also secured with hot glue). Then I used a solid red ribbon to create a bow and attached the flower to the top using hot glue. 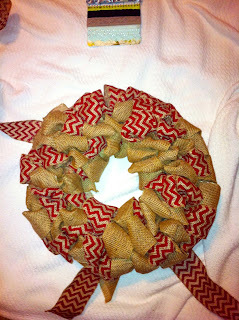 Using the same red ribbon, I simply wrapped it around my wreath and tied a nice, secure knot. 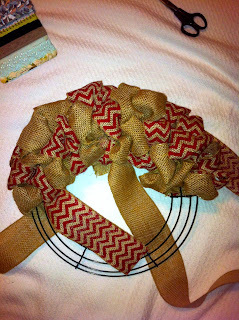 I let the ends hang loose to create a little extra texture around the embellishment. Last, I attached the embellishment over the knot. I used hot glue, again, to secure the embellishment on both sides.